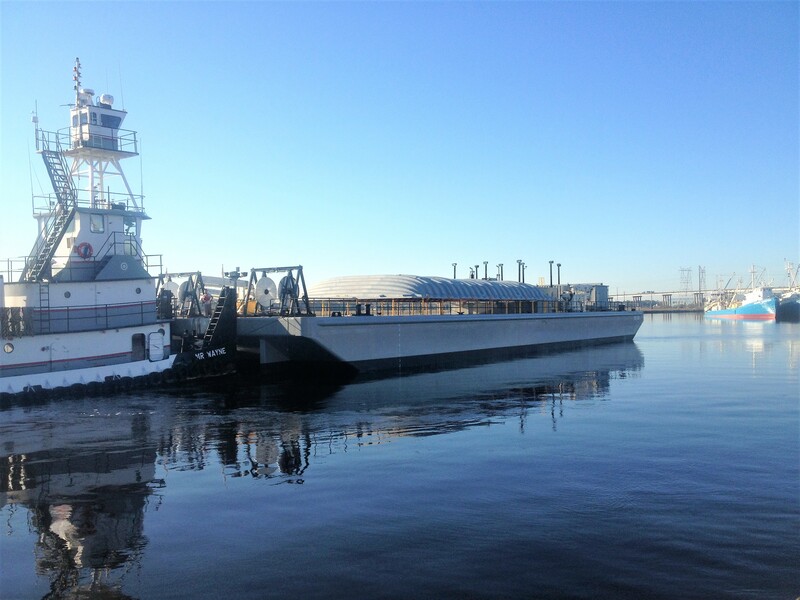 130′ BUNKER BARGE – The Shearer Group Inc. 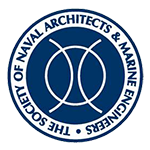 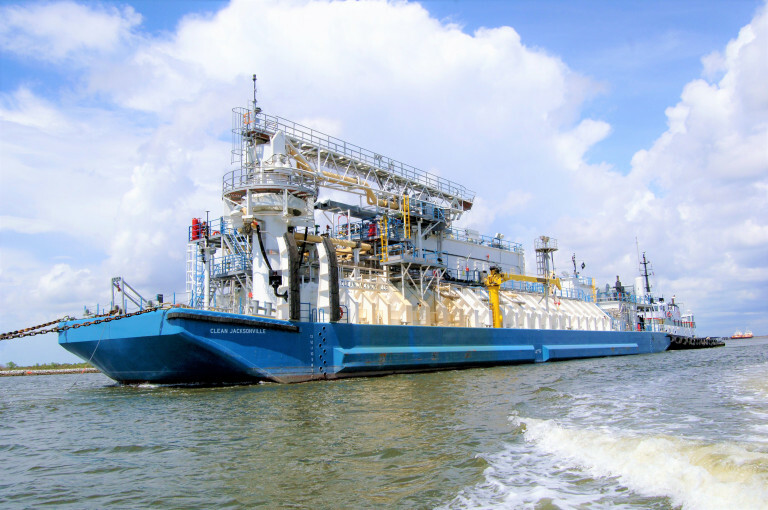 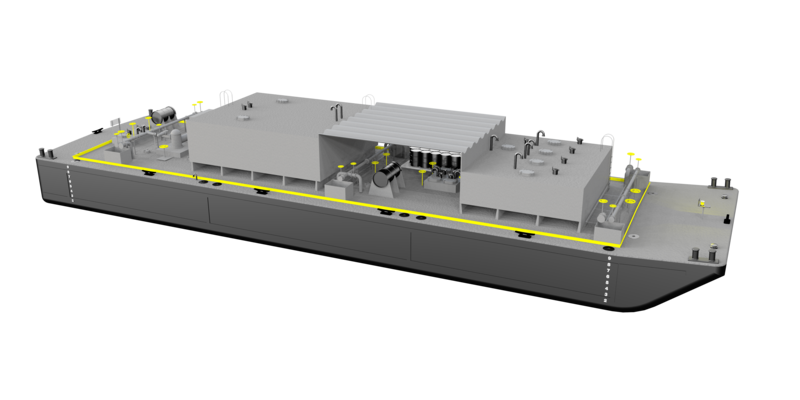 The Shearer Group, Inc. (TSGI) completed the design of a 130’ x 35’ x 10’ double skin bunker barge for a Gulf Coast marine fuel supplier. The barge features below deck piping for cleaner and safer deck operations. 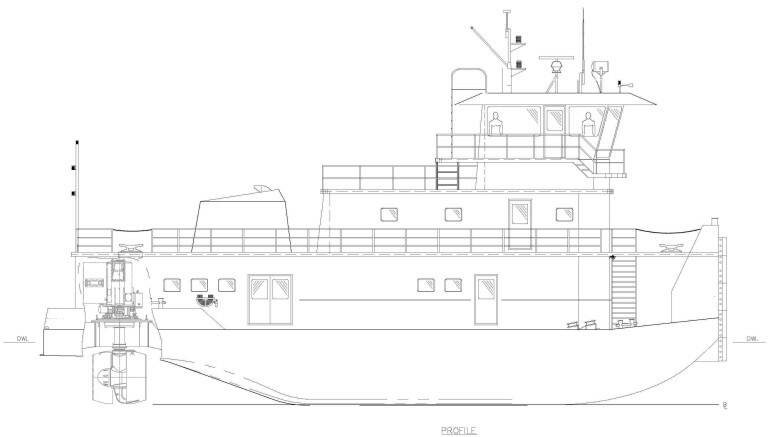 Above deck are five (5) oil tanks and one potable water tank.